Food of Japan – part 2 – How Do You Figure? Now that I’ve had some more time to digest, it’s time for part two of my Japanese culinary experience! 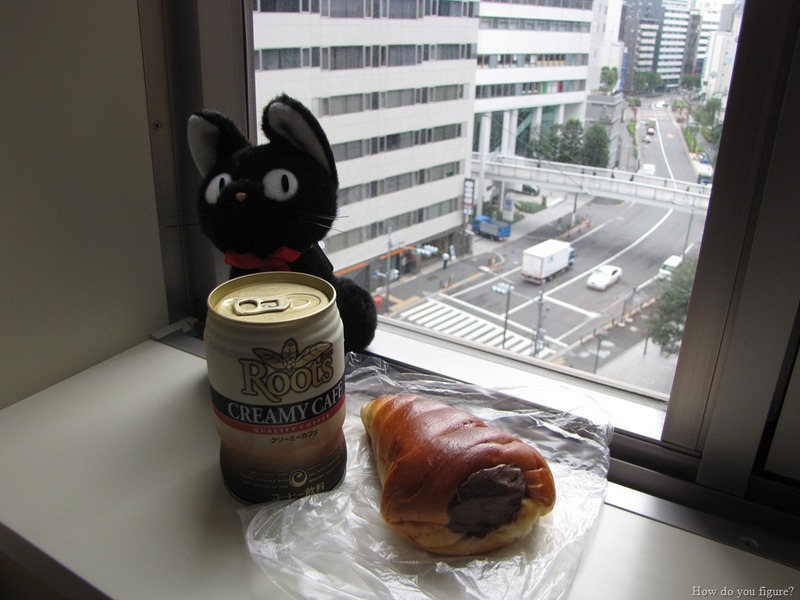 We’ll start this time with a shot of what I enjoyed for breakfast on the day we went to Mitaka for the Ghibli Museum. In addition to getting sodas, water, and bottles of tea, many vending machines in Japan also sell coffee in a can. This particular serving was cold, however some machines also offer a selection of hot beverages. I did have a chance to try one in Nakano and it was pretty tasty! Breakfast that day consisted of some taiyaki that I’d bought the day before in Nakano. This particular one was matcha-flavored, or green tea flavored. The Japanese really do like their pastries though. Before boarding the train to Mitaka, we stopped at a small bakery for some food. For the first time, I tried something called karē pan, or curry bread. 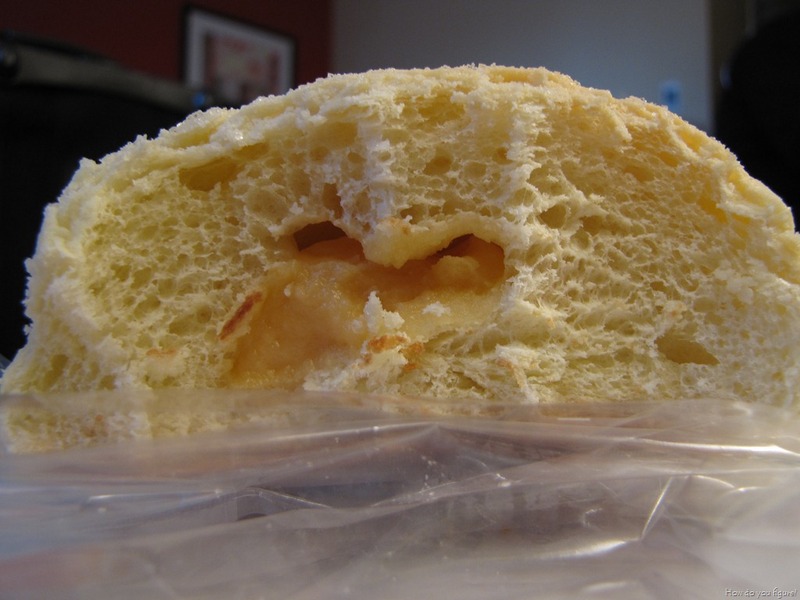 Essentially, it is a piece of fried dough filled with a small serving of Japanese curry (chicken, veggies, and sauce). Since I was on the train and enjoying the bread far too much, I didn’t get around to taking pictures. With all the various pastries and things we ate early on in the day, we pretty much skipped lunch and went straight on to dinner in the evening. 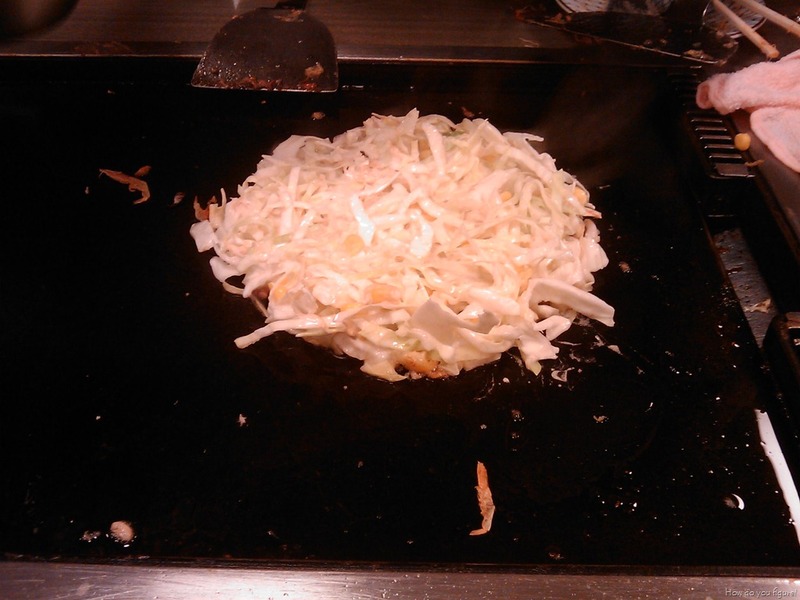 We’d decided on okonomiyaki for that evening, which is a form of Japanese pancake. 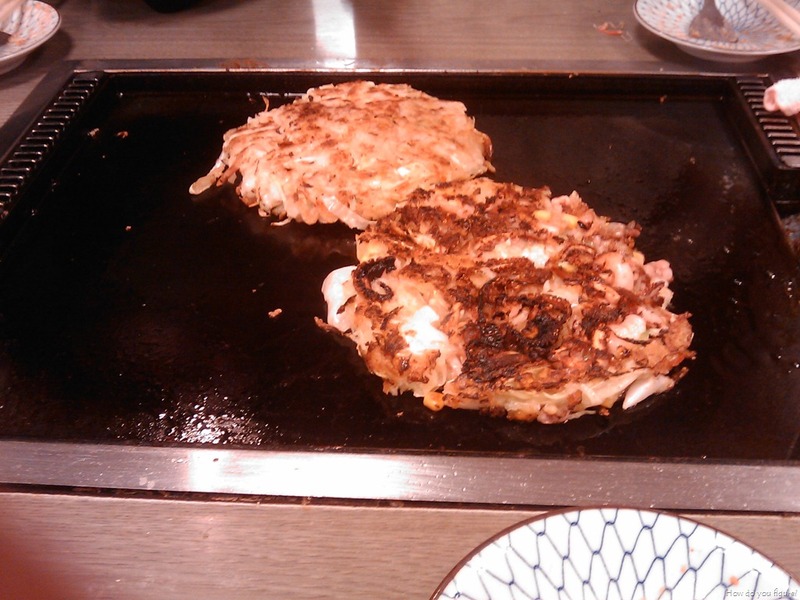 At many restaurants, you make it yourself on a hotplate that is built into the table. Each “order” comes in a small bowl filled with whatever ingredients you want along with a a helping of batter. You then pour it onto the hotplate and cook it to your taste. Sauces and other toppings are provided, with mayonnaise being a popular addition. I’d also managed to take some video of the cooking action, the first of which was our appetizer. Followed by the finishing touches on the main course. It may not look like much in the pictures, but it was very filling. By the time we got through it, none of us were particularly hungry and were quite content with calling it a night. With such a filling dinner the night before, I went light on breakfast. In addition to the curry bread, I also picked up a choco coronet to go with my morning coffee. This was particularly fitting, as we were making the pilgrimage to Washinomiya Shrine that day (a choco coronet was featured in the very first scene of the first episode of Lucky Star). Fortunately, I didn’t have any of the same difficulties that Konata had while eating hers. I also determined that the best way to eat it is fat end first. That way, the chocolate doesn’t go all over the place… The bread itself was extremely soft, even despite the fact that I’d bought it the day before. The chocolate also wasn’t super sweet or bitter, making it go well with the chilled coffee. A lovely combination! Once at the shrine, we decided to stop for snacks at a small cafe. Much of the town has embraced the otaku culture, and the cafe was no exception. It had a special “character menu,” with items that were specific to each Lucky Star character. While I can’t vouch for the authenticity of the choices, they were pretty neat to look at. I went for something off the normal menu, getting one of the tea sets that they offered. Today’s cake of the day was marron cake, or chestnut cake. 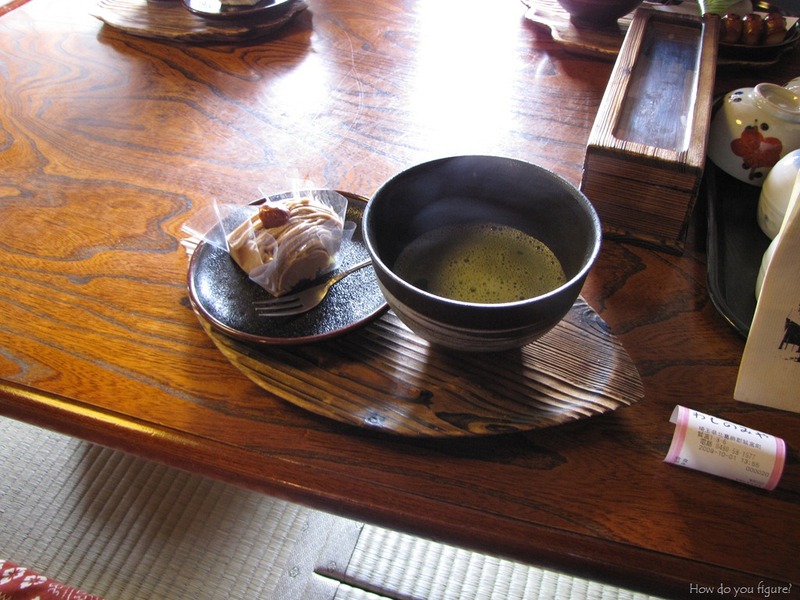 The bowl next to the cake is actually filled with freshly made tea (still frothy from being whisked). It was a pretty small portion, but the cake was extremely rich and savory. The tea was the perfect companion and the atmosphere at the little cafe was perfect for relaxing. It featured traditional seating, so all shoes had to come off before entering and the floors were lined with cushions. As with most other food I came across, this wasn’t cheap either, coming to 590 yen. 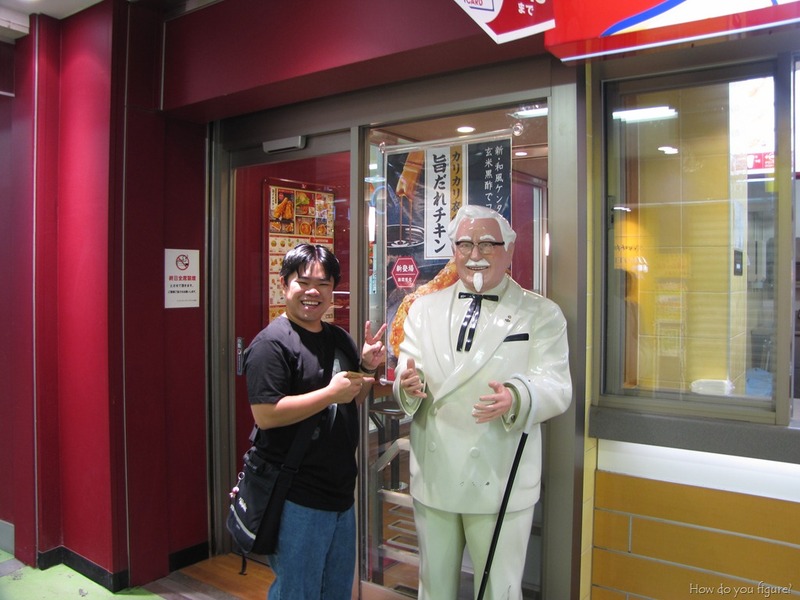 As a side note, I discovered that the Japanese really like random Western food chains, like KFC. Pizza Hut also has a foothold there, as does the globally recognized McDonalds. But what would a KFC be without a statue of the Colonel? Moving on… Dinner that night was in a small restaurant in Ginza. From what I could tell, it was a seafood restaurant, featuring all sorts of dishes from shellfish to grilled salmon. The dish on the left was some sort of grilled whitefish (which name escapes me at the moment) and the dish on the right is something called ochazuke. 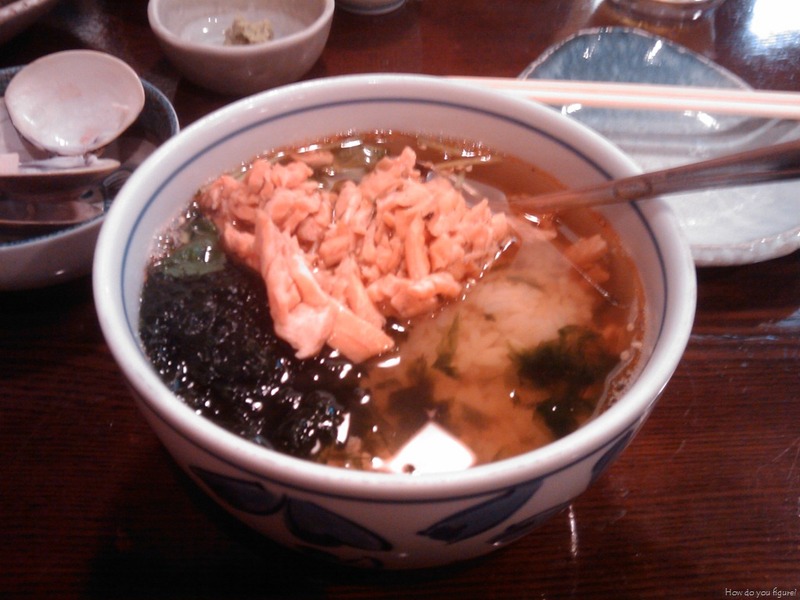 It is essentially cooked rice in a green tea broth with various toppings (mine had salmon, seaweed, and some other veggies). As simple as it sounds, it was extremely good and filling. If it weren’t for the other food we ordered, I may have gone for a second round… I really must find out how to make this one! The following morning, it was off to Kyoto. 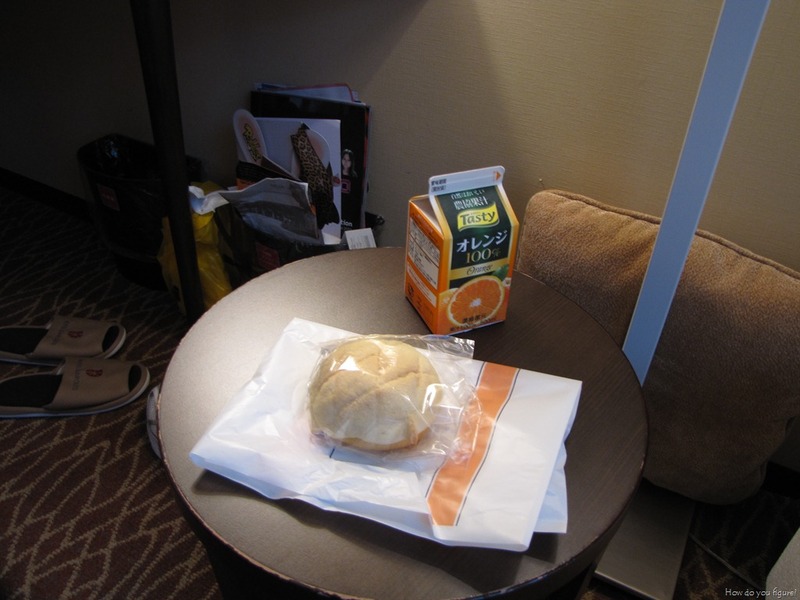 After a quick breakfast consisting of melonpan and juice, it was time to hit the station. Since Akihabara was on the way to Tokyo station, we did make a brief stop for some snacks. We’d discovered a wonderful little stand that made fresh onigiri and served croquets. I couldn’t leave Tokyo without having another one of those fried croquets! 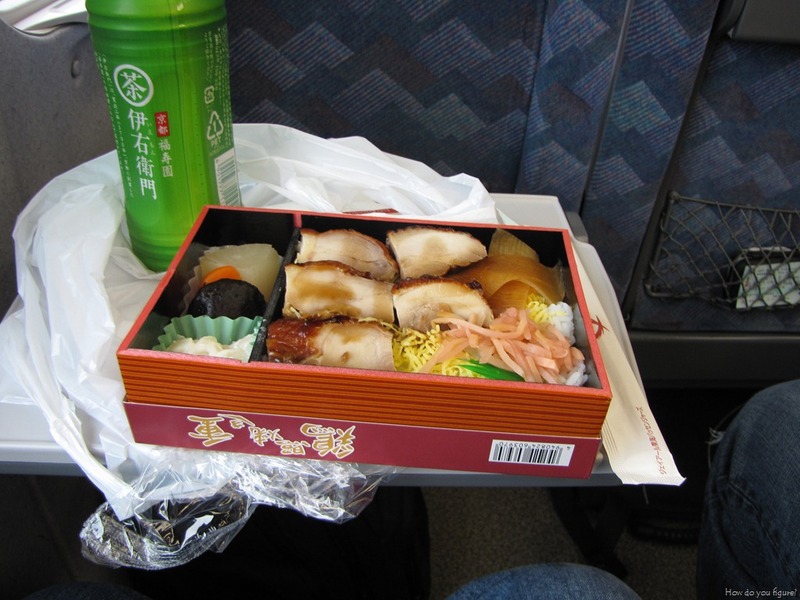 Food is actually pretty commonplace on the high-speed train network. There are usually various vending machines on the train, along with attendants that sell food from a cart. 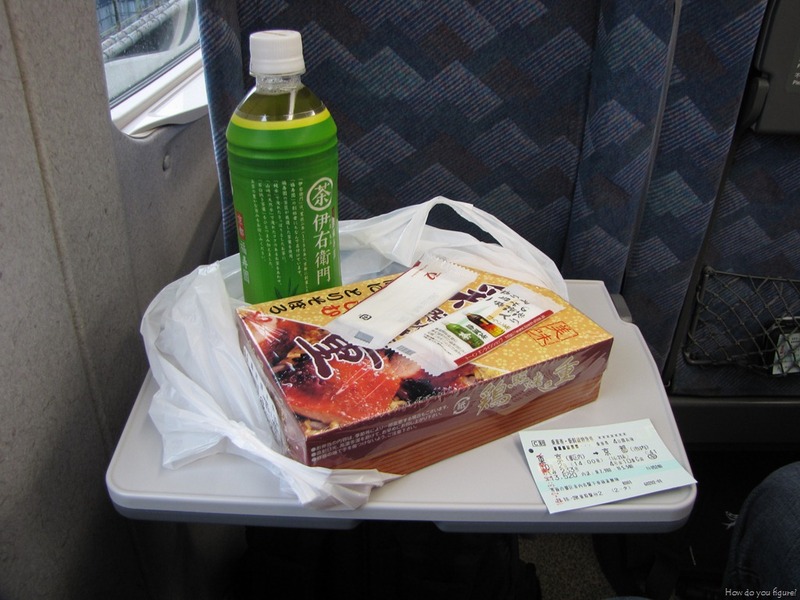 There are also stands at the station where you can buy various boxed lunches to take with you. I chose a chicken teriyaki bento. It’s almost better than airline food! 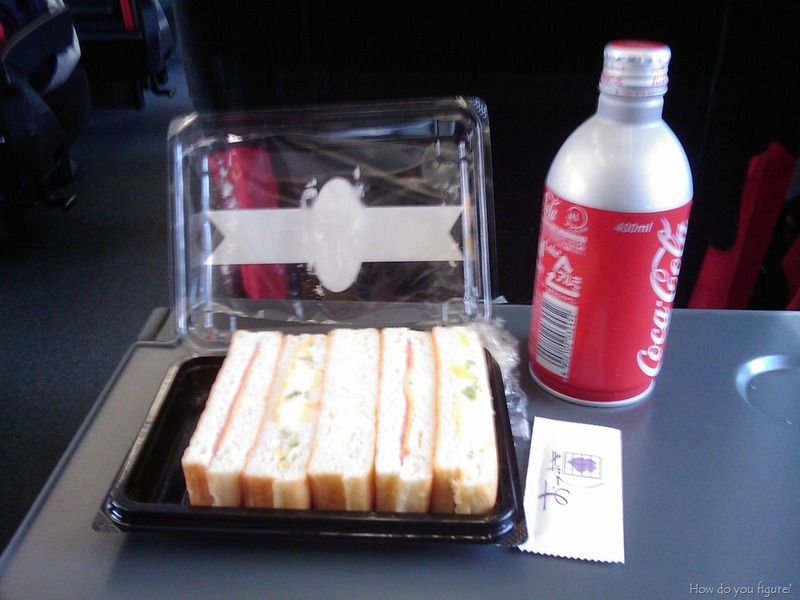 Then again, it cost significantly more than airline food… the above cost me somewhere around 450 yen for some sandwiches and a coke. 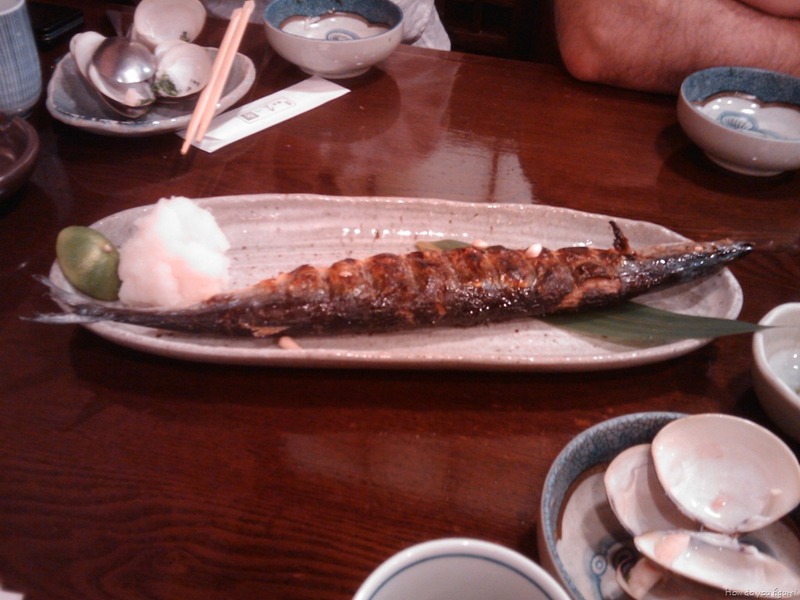 Stay tuned for part 3… where I explore food in Kyoto!